Fall means we're all back to being super busy, whether that's taking the kids to school or, soon enough, prepping for the holidays. 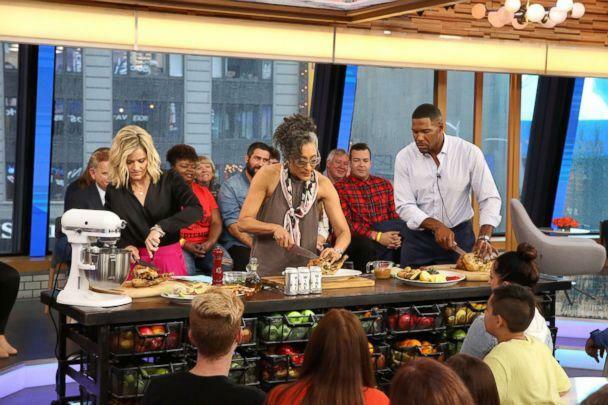 Carla Hall, a former co-host of "The Chew," is joining "GMA Day" as a food contributor. To kick it off, she shared a simple weeknight chicken dinner that can last the whole week. 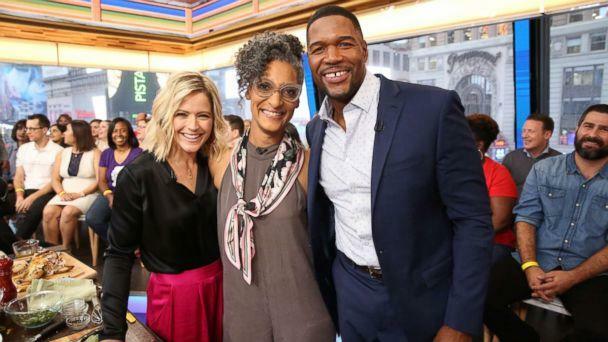 "You don't want to spend your whole day cooking on Sunday because come on, it's the weekend," Hall said on "GMA Day." "You want to do passive cooking. I'm going to show you how to make a wine-can chicken. ... Wine in a can was really the big thing over the summer." Get Carla's recipe below, and show us photos of your wine-can chicken on the "We Are GMA" Facebook group. With your hands, mix the lemon zest into the salt. Add the thyme and parsley. Mix well. Rub extra virgin olive oil all over the chickens — inside and out — and then rub again using the lemon salt/herb mixture. Be sure to get into those nooks and crannies. Grind fresh pepper over the chickens. 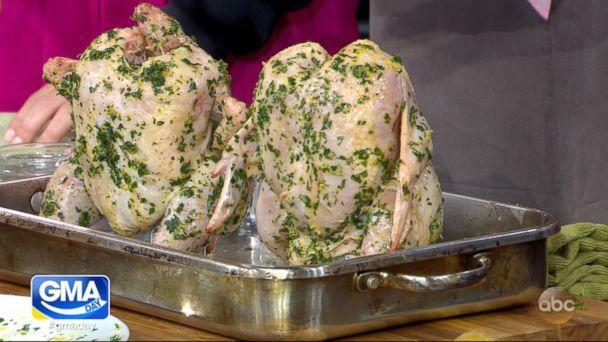 Pour 1/4 cup of wine from each can into a roasting pan large enough to fit the two chickens. Stand each prepared chicken on a wine can, so that the chickens are set upright. Place the chickens in the roasting pan and adjust the racks in your oven to the lowest level to accommodate the pan. Bake in the oven for 1 hour and 15 minutes or until the internal temperature reaches 160°F and the juices run clear when piercing the thigh. Serve the chicken with the pan juices.